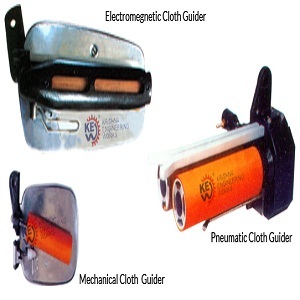 Krishna engineering works is a company engaged in manufacturing, exporting & supplying Pneumatic Cloth Guider, Mechanical Cloth Guiders, Cloth Guiders With Frame, Spare Parts of Cloth Guider and more. we have been successfully manufacturer and exporter of all types of Rubber Fillets, Rubber Rollers, Rubber Grips since last 25 years. We are ISO 9001:2008 certified company. We are the winner of 3 times national award and 2 times the international award for quality manufacturing. This equipment is easy installation and operation in various textile industries. Most powerful model is pneumatic Cloth Guiders. High-quality Cloth Guider with the heavy-duty process. Designed for accurate performance to use in dry as well as wet fabrics with the high-quality process. Also, we manufacture Technical Textiles Machinery and Spare Parts. Suitable for use in dry/wet fabrics. The different material of rollers is provided for the special application.